Tuesday I had my 1st prenatal appointment and it went fairly well. Other than having to wait for 30 minutes in the exam room with no pants on and a paper sheet draped across my lap it wasn’t that bad. The midwife that was supposed to see me was apparently still at the hospital, I’m assuming performing midwife duties. So another midwife and her med student came it to do my exam. Because I’m so far along we were able to feel the top of the fundus and listen to the heartbeat with the doppler. 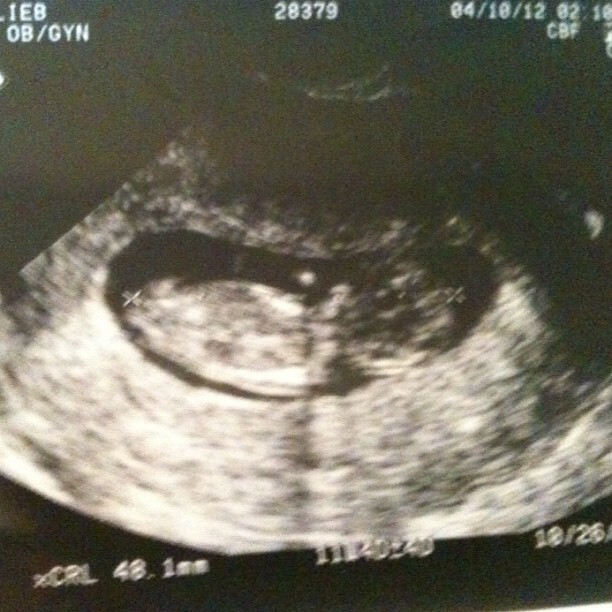 They also did a confirmation ultrasound. You know cause a positive pregnancy test, feeling the enlarged uterus and hearing the baby’s heartbeat aren’t confirmation enough. But, I’m glad they did it because it helped calm a bit of my prenatal anxiety. The baby looks 100% healthy and is measuring for the due date of October 24th (that’s what I came up with but they had to check it like 30 different ways to be sure). I was a little put off by their immediate decision to induce me at 39 weeks since I’ve previously had 2 large babies, but we will talk about that further and I will strongly oppose any inducing. They did seem to get that, considering my previous births that I want as little intervention as possible. I have a feeling I’ll still need to stand my ground on all of the procedures I DON’T want done and hopefully they will accept my wishes. I go back in 2 weeks for another check-up so hopefully I’ll start to feel comfortable with the idea of a hospital birth. It’s definitely going to be different.